I’ve noticed the revision statements are listing all revisions. statements like this build up and looks really messy. is there any way to remove it without waiting for a bbpress upgrade? Any update on this? Or any suggestions? The ticket is https://bbpress.trac.wordpress.org/ticket/1989, there are some specific things we want to do with revisions, we want to actually keep all revisions but only display one revision, we want to be able to “scroll through” the list of revisions, you can see an example of this in the following comment https://bbpress.trac.wordpress.org/ticket/1989#comment:19, in that comment you’ll see previous and diff, once you click previous you’ll then see next. If you want to join our development chat we can chat about what and where further. I’m having this problem so I guess it isn’t fixed yet? I tried the adding the CSS that PinkishHue posted but it didn’t help. @tallsam Its not really an issue since it should show a list of items in the latest version of bbPress and since Stephen’s ticket he linked to has not been committed yet. IF @pinkishhue’s Custom CSS code does not work after you placed it in your child themes style.css file and have also tried adding !important on the end, you can try my custom php code snippet. Make sure to place this into your child themes functions.php file in your child theme. That crashed my sight for some reason. Any thoughts? My question: do you really want those revisions ? I don’t like the sounds of that… I think I would rather try the plugin you mentioned. But first, is there going to be an update to bbpress that will remove the extra revision statements? If so, any thoughts on when this will be ready? Did you place the code snippet I placed earlier correctly?? It seems to work fine on my test site. Same thing goes for @pinkishhue‘s code. These both work if you want to show only 1 revision log on the Frontend of your forums. Not really remove the statements, but just make 1 visible. Have no idea when @netweb’s code will make it into core. Do you want them all gone?? This topic is all about just having one visible on the frontend. Also there might be a bug about the revisions somewhere I think. Haven’t fully checked that one out though. But you can always disable the revision logging from being displayed in the forums in Settings > Forums, there will still be revisions on the edits in the backend though, since it is a post type in WordPress. And hide the existing revisions with CSS using the first half of pinkishhue’s code. 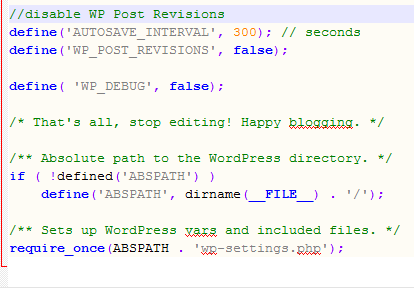 There is a way to limit the total number of revisions kept per post though in WordPress. But if you do want to completely remove the revisions you can use a plugin that @casiepa listed, but this may remove ALL revisions of any post or plugin using the revision system in WordPress. Some custom css plugins may use it, and clearing the revisions may lose all your saved styles. I turned off revision logging and that did the trick, thanks! Thanks @robkk, that code in functions.php did the trick.